Why start a business in Plymouth? One of the major cities along the South West coast along with Exeter, Plymouth has a long history as a port city but is now better known as a hub for science and technology businesses in the region. Plymouth is a picturesque town in itself, and entrepreneurs with a fondness for the great outdoors will also find the landscapes and attractions of Devon and Cornwall easy to get to. However, the trade-off is that it’s somewhat off the beaten track – it takes over four hours to drive to London, and the nearest international airport is in Exeter, almost an hour’s drive away. Getting around the city can be slow, too, with average road speeds of just 18.7mph. Compared to other cities, Plymouth’s tech scene and range of business support are somewhat modest. However, if you are looking to start a business in a location famed for its seafood and scenery, and you have a modest budget, you should certainly consider it. As the heart of the South West Local Enterprise Partnership, last year Plymouth secured a £332m share of the government’s Growth Deal to deliver jobs and homes in the region, so the area is beginning to see significant infrastructure investment and regeneration. In May 2017, the £70m housing redevelopment project of Devonport Vision completed and this development is likely to bring more prosperity to the local area. Plymouth University is the sole higher education institution in the city, and is fairly well regarded, generally ranked as one of the top 70 or so universities in the UK across multiple rankings. The university has very good links with business and entrepreneurship generally through its GAIN (Growth, Acceleration and Investment Network) programme, which was created in partnership with the council and Tamar Science Park to support the formation and growth of high-quality businesses and jobs in the South West region. Describing itself as an “innovation and enterprise eco-system”, the regional network connects entrepreneurs and business to advice, training, and growth strategies, in addition to facilitating networking between its members. More generally, salaries in Plymouth are fairly low at an average of £481.50 per week – one of the lowest rates of the cities in our index – making it cheaper for you to hire staff for your start-up. 29.2% of the working-age population have NVQ Level 4 qualifications or above, which is below average for the UK and comparable to cities such as Coventry (29.5%) and Leicester (28.8%). Construction businesses choosing to locate in the city could benefit from the Building Plymouth initiative, a scheme which plans to link job-seekers with career opportunities in the sector. The council predicts a boom in the construction industry, with 10,000 jobs set to be created over 10 years; firms can connect with recruits and advertise training and other opportunities through the scheme. As the city at the heart of the South West Local Enterprise Partnership (comprising Devon, Plymouth, Somerset and Torbay), Plymouth-based entrepreneurs can benefit from a decent range of business support, although it is somewhat limited when compared with larger cities. The city has a well-established science and technology sector, which is centred around Plymouth Science Park. One of the largest such sites in the South West, the park is home to around 70 businesses at present, with a combined turnover of £100m. It hopes to forge new connections within the industry and encourage knowledge transfer by bringing together entrepreneurs, scientists and academics in a collaborative environment. Plymouth’s port industry has meant there is a more developed stock of industrial and warehousing space than general office space. This is reflected in falling demand and extremely low rents – prime rents dropped below £10 per square foot on average in 2015, so whilst it is cheap, good office space in the city centre will be limited. However, space is available at one of a number of business parks in and around Plymouth, including Scott Business Park, Plymouth Science Park, the HQ Business Centre, and more – a full list can be found here. In January 2015, Regus launched a business lounge in Plymouth’s Drake Circus Shopping Centre offering desk space and facilities for mobile workers and local businesses. Ambitious start-ups looking for an accelerator programme may need to look elsewhere, as there still isn’t any schemes in Plymouth yet. However, there is a start-up incubator called Formation Zone based within Plymouth University which provides relatively affordable workspace and taps into its business services offering and resident expertise as part of the package. For social enterprises, there is a local accelerator programme – Seedbed – which provides coaching, workshops and advice sessions to “help social ventures thrive”, alongside access to loan finance and equity investment. In addition, Plymouth University operates three innovation centres in Cornwall, which use Formation Zone as the first step for start-ups looking to develop their business ideas further. And co-working space THINQTANQ has recently launched; as with many new such spaces, the focus is on tech businesses. Prices start from £75 a year. There is currently less grant support available for Plymouth-based entrepreneurs than previously – both the GAIN Growth Fund and PWGF scheme have closed, leaving a somewhat scarcer selection than two years ago. However, a few schemes still operate. The Innovation Vouchers scheme is one; it is targeted at small and medium-sized businesses in the South East wishing to access the expertise available in higher education establishments such as Plymouth University. Subsidies will be provided of up to £10,000 – or 40% of the cost of project – although they won’t take the form of grants and can only be spent on specialist expertise, not training or equipment. Pure grant schemes are very thin on the ground. The only such initiative targeted at Plymouth currently operating is the Repair and Renew Grant Scheme, which provides amounts of up to £5,000 to repair or flood-proof business premises which have been damaged by flooding in the past. If you’ve set up shop in Plymouth and have found it difficult to obtain funding from traditional sources, recourse may be available through the South West Microcredit Fund. This ERDF-backed scheme provides loans of up to £7,500 to eligible businesses, at 6% interest over a maximum period of three years. Angel finance in the region can be found through SWAIN (South West Angel and Investor Network) which covers the whole region. The fund is quite prolific, and investments are made ranging from £50,000 to £750,000. SWAIN is currently in the process of developing and refining its services and communications. The cost of living in Plymouth is relatively high for a city of its size, with average house prices standing at £242,775 for September 2016 – a sharp increase on the £136,071 average in 2015. Crime rates are relatively low, at 71.83 crimes per 1,000 population, which is a good indicator for those looking to live and work in the area. Describing itself as “Britain’s ocean city”, Plymouth is one of the more picturesque and cosmopolitan cities on the south coast. 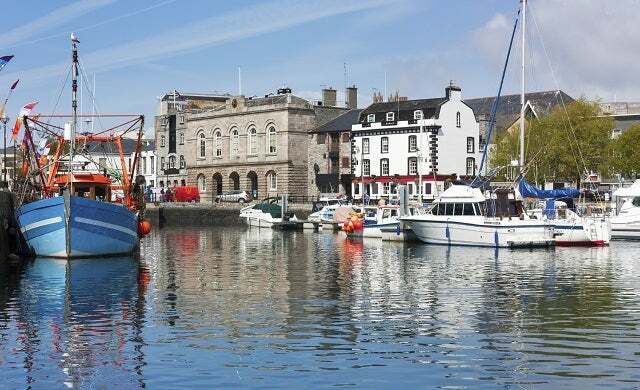 In particular, Plymouth is well known for its excellent restaurants – which include establishments owned by TV chefs Hugh Fearnley-Whittingstall and Gary Rhodes – most of which feature the excellent locally-caught seafood. Indeed, the city’s pedigree in maritime cuisine is such that it is celebrated in the two-day annual Plymouth Seafood Festival. The city centre itself is full of diversions, with the waterfront on the Barbican containing a number of restaurants, museums and other attractions. Outside of the city, Plymouth is right on the doorstep of some of the most striking and beautiful landscapes in Britain – the rugged Dartmoor is a short drive away, alongside the charming coastal towns and appealing landscape of the South Coast. A first-hand account from an early-stage start-up on what it’s like to start a business in Plymouth and what the city has to offer new entrepreneurs. You can also gage insider opinion on what more Plymouth needs to do to accommodate start-ups. Interactive studio Real Visual Group tells Startups what’s great about starting a business in Plymouth.